Even though Leuchtturm1917 is still my favourite bullet journal notebook, I've found some amazing dot grid notebooks on Etsy that are so cute and unique, that I really-really want to give them a try. 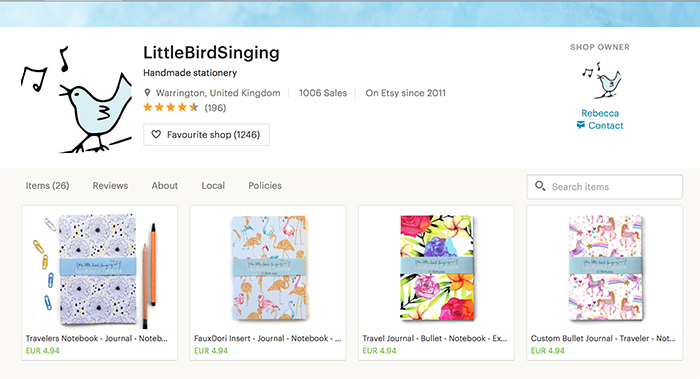 First stop is the Little Bird Singing shop and their lovely notebooks. I love all their designs and that's what attracted me to their shop in the first place. But also the quality of the paper they use sounds really good. 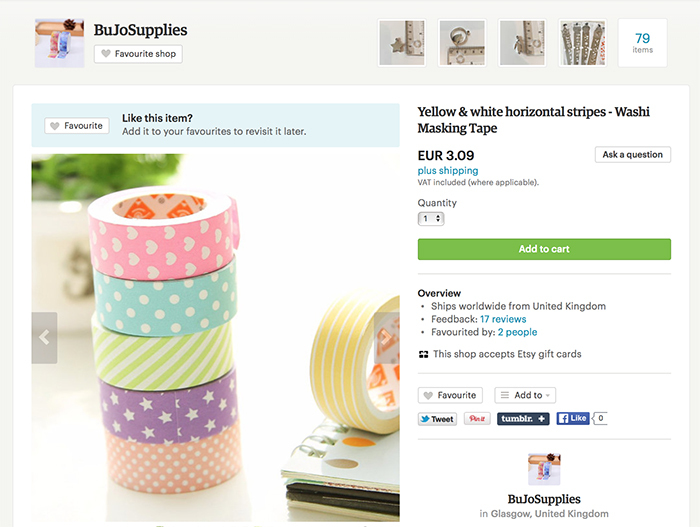 You can choose from blank, lined, dotted or grid pages. Each notebook has 60 pages with 100gsm and they come in 6 size options. Another shop with bullet journal notebooks that caught my eye, is the Cognitive Surplus. The design of their notebooks is so unique and different! They combine science with design in a very interesting way and I have to say I'm very intrigued with their notebooks. Each notebook has 112 dot grid pages that are 100% recycled and fountain pen friendly (80gsm). I haven't used a notebook cover for my bullet journal before, but after seeing some of the designs on Etsy, I would love to give my bujo a little 'jacket' with a fun and cute design! I really like the Luna Blue Bags designs. Apart from the design that is adorable, it also has ribbon bookmarks (extra bookmarks are always a plus for me), a pen holder and elastic closure. I didn't know something like this even existed, but I really like the look and practicality of it and I'm definitely getting one! 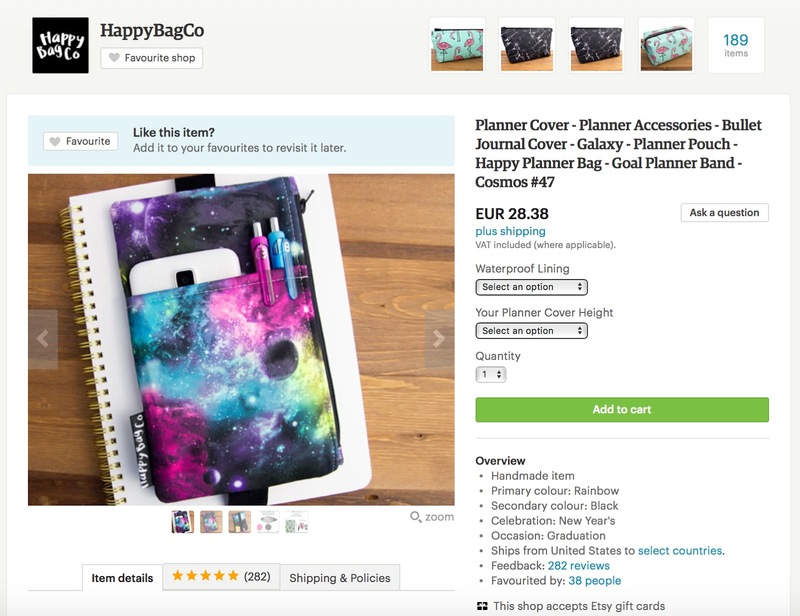 The Happy Bag Co has some really cute designs (like this Cosmos one in the picture below). 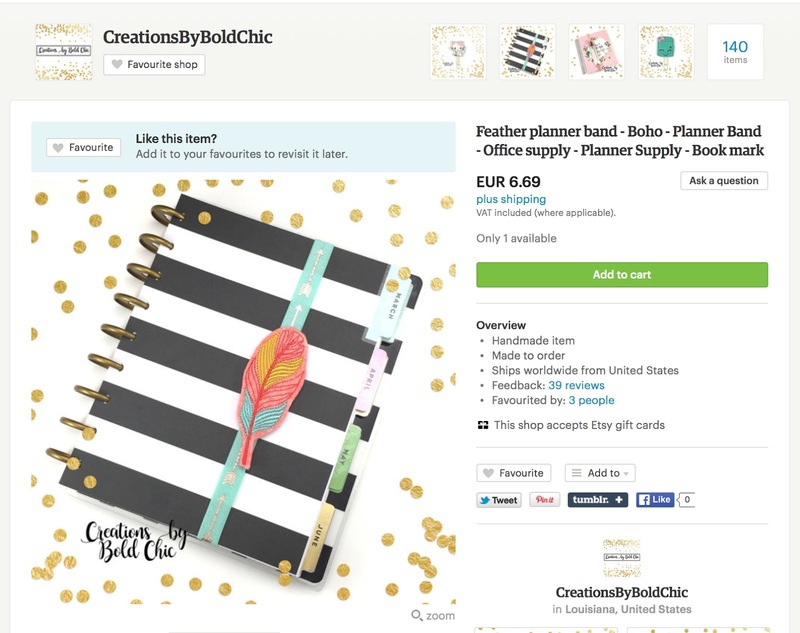 If you're using a planner / notebook that doesn't have a planner band already, then you can find some really cute designs on Etsy. Like this feather one by Creations By Bold Chic. I've also found some really nice bookmarks that I love the design. 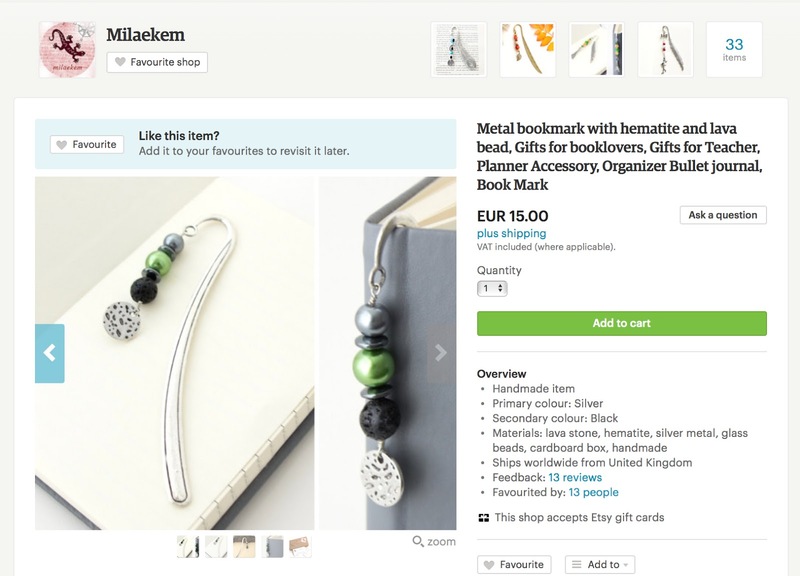 They look more like a jewel rather than an ordinary bookmark and they add an extra something to your bullet journal. Plus, they are practical too :) I love this one from Milaekem shop. 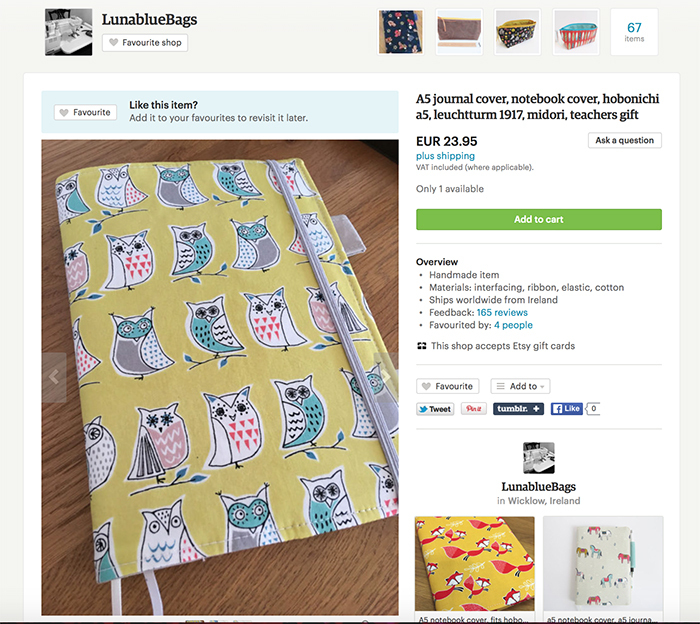 Join the Creative Gang and get a 20% discount code every month for my Etsy Store. I think stencils can be very useful to create shapes and keep a clean look in your bullet journal. 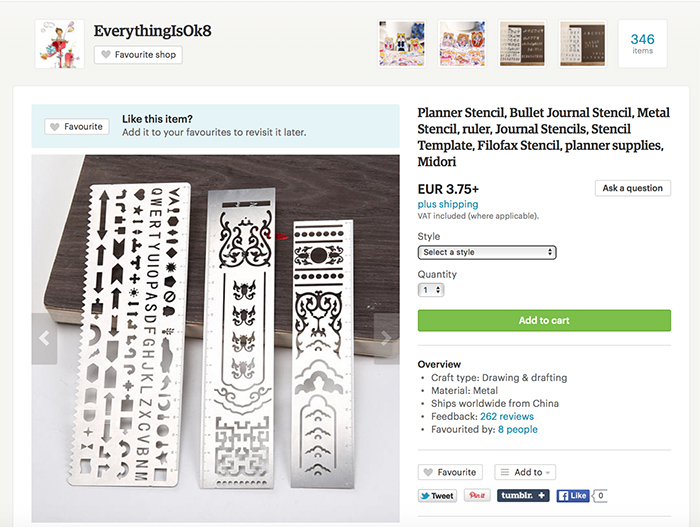 I really like the metal stencil rulers by Everything Is Ok 8. 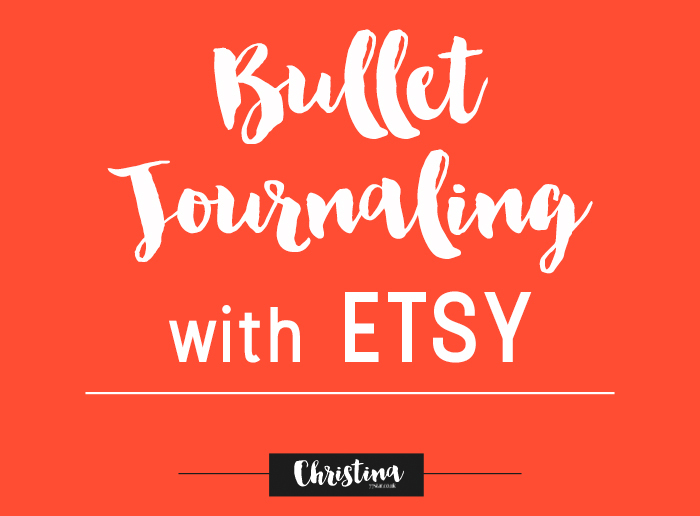 One more way to play around with shapes and design in your bullet journal is with stamps. 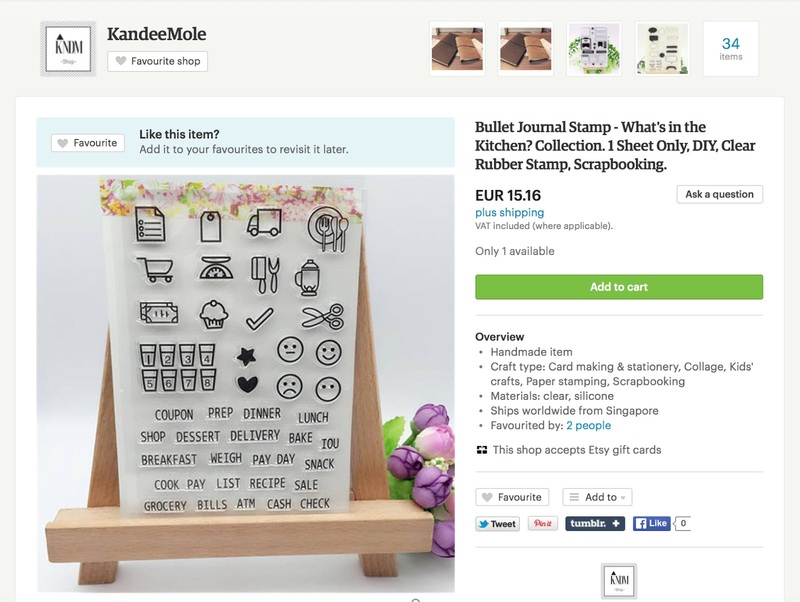 I'm looking for some rubber stamps with useful everyday icons that I can easily add to my pages and save time from doodling around, like the ones below by KandeeMole.